Are you ready for some "super" reveals? First up is a sentiment Confetti Cuts die. This is much like the "hello lovely" die that we released in January. It is one die and cuts out all the letters/words at once. 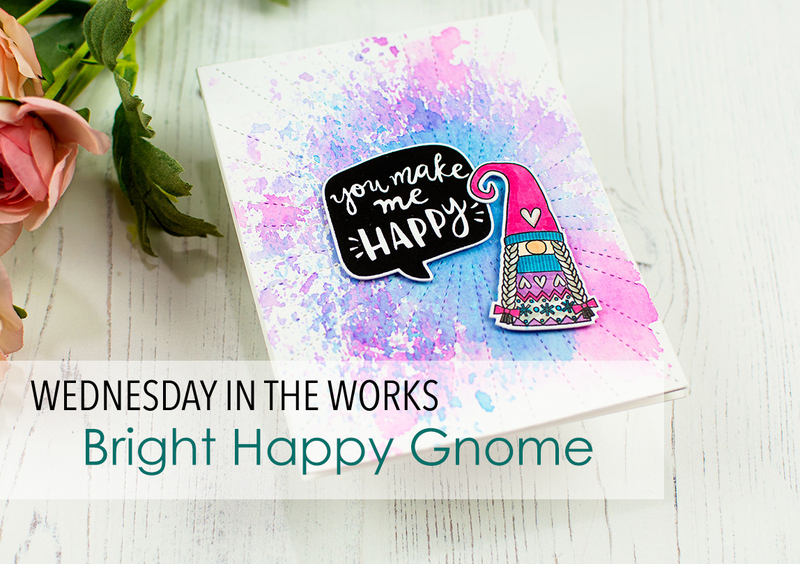 The smaller sentiment is from the new WORD UP stamp set that we introduced yesterday. And, I still can't put down the STITCHED HEX TAG Confetti Cuts and used it here as a layering element. I actually cut 2 and then cut them in half and used the bottom half of each on this card (the top half has the hang hole). The frame on this card is cut from Midnight cardstock with the new STITCHED NOTE & FRAMES Confetti Cuts die set. Under the frame is a STITCHED RAYS cut from Stormy cardstock. I used a gray Copic to go over every other line to add a little detail. Pro tip...tie together colors on your focal image with patterned paper. Here, I had just a little bit of orange with the carrots. By adding the tone on tone paper, it sets off the carrots and ties it all together. Tomorrow is the third and final day of the COUNTDOWN TO CONFETTI and we have such a beautiful set to reveal to you! Hello, 'Fetti Fans! Our new release is just around the corner and we are SO EXCITED about it! The COUNTDOWN TO CONFETTI starts on Tuesday where we will have product reveals, inspiration and chances to win. Mark your calendars and don't miss a thing! With a new release, we have new 'Fetti Friends to introduce to you this month. These lovely ladies will joining us for March and April and will be sharing lots of projects and creativity with you. I live in Yekaterinburg - a beautiful city in the heart of Russia - with my husband, two kids, a golden retriever and a guinea pig. I am a university teacher and a teacher trainer by day; and an avid cardmaker by night. I’ve been crafty all my life, but it’s cardamking and papercrafting that have stolen my heart (and much of my budget) over the last four years. My style is predominantly clean and simple, I think it really brings the image or the message to the fore; I also like playing with watercolour, and sometimes I like getting artsy. Recently I have discovered the joy of scrapbooking and have been having lots of fun creating layouts. When I don’t play with my stamps and inks, I cook, read, try to be an adequate mom to two teenagers (not always successfully), try to get back in shape (not very successfully either), and generally enjoy this beautiful ride, aka Life. Hi there! My name is Dana Kirby and I am so excited to be a Fetti Friend for the next two months. I am a wife to my Wonderful husband, Ric. We have been married for 23 years and have two Beautiful daughters. Both of our girls are in college, so we are empty-nesters and enjoying our time. I have been a paper crafter for over 20 years and fell in love with stamping (again) about 8 years ago when I discovered clear stamps. I am so excited to share my projects with all of you!! Howdy, 'Fetti Fans and Happy March! Now that it's March, it can be spring, right?!? Please tell me I'm right. I can't do winter any longer...and we're not even buried in snow. We know not everyone celebrates Easter, so both Easter AND Spring are options for this month's challenge. Of course, you can do both! Ok, now it's your turn to show us your spring flair and Easter blessings! February just blew right by us and we're on the cusp on a new release month! Mark your calendars for March 8th when we will be releasing lots of new goodies just in time for spring! Thank you to everyone that played along in this month's STOCK YOUR STASH challenge and congrats to our winner, Susan W.! Susan, please email us at info@reverseconfetti.com to claim your prize. Ali here, so glad to be joining you for another round of Confetti Camera! The Theme for this round is 2 versions and today my cards are bright colours vs soft colours! 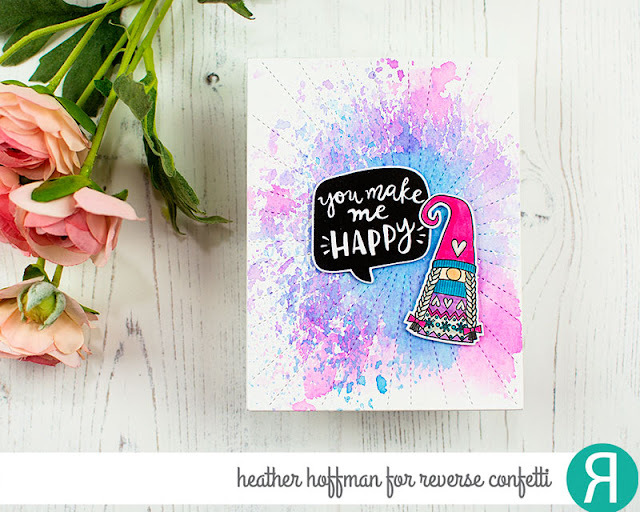 Making two versions of your card is actually such a good idea to do on a regular basis while you have your craft supplies out – 2 cards for the time of 1! For both cards, I stamped out all of the sizes of the petals twice in the pink distress Oxide inks (Soft = Spun Sugar, Bright = Worn Lipstick). I stamped the Leaves (1 in each size, Soft = Shabby Shutters, Brights = Twisted Citron). I die-cut the ‘petals’ with the corresponding dies and cut them apart. I curled the leaves gently around a pecil barrel. I used a die cut circle scrap to adhere the petals and leaves in a flower formation. I made the background piece by running the Cover Panel through my bigshot, flipping it over and running it through again – LOVE this effect!I I trimmed this piece backed it with 3-d foam, adhered to a Kraft card base and attached the flowers. I finished the card with some twine and sentiments from the set white embossed on Kraft card strips. 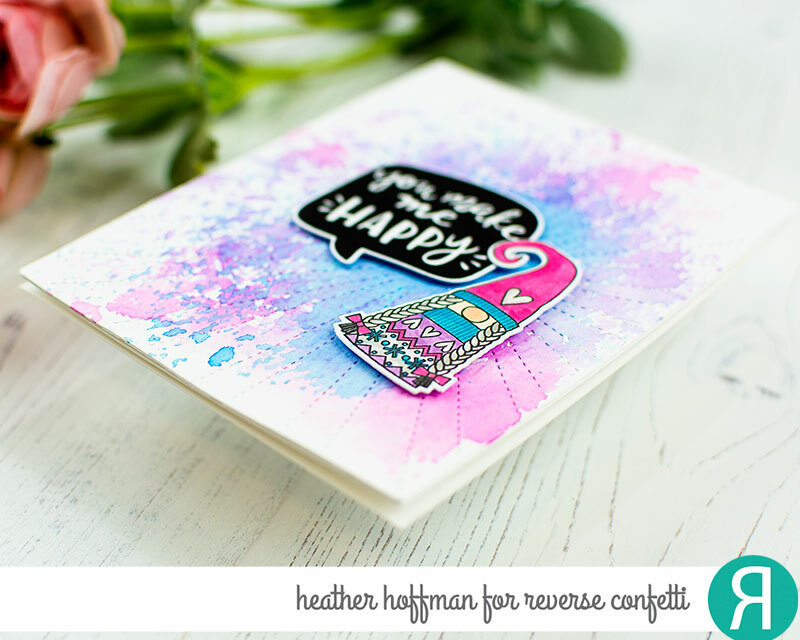 Hope you enjoy them and thanks for joining me on the Reverse Confetti Blog.